As the Soviet counter-attacks started to push out the Germans out of Russia, the only one who seemed not to be affected by this turn of events was Michael Wittmann. His kill count continued to grow. He received the Knights Cross for neutralizing 88 tanks and tank destroyers. In addition to this, a number of anti-tank and anti-infantry guns was destroyed by Wittmann. He controlled the battleground, feeling more secure and self-confident after each victory. Wittmann earned the nickname The Black Baron, as a reference to Manfred von Richthofen, who was known as the Red Baron. This nickname didn’t only reflect his success on the battlefield, but also the chivalry that he practiced. 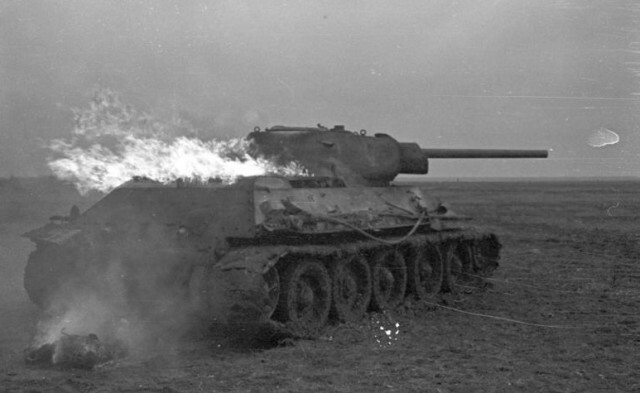 There is an anecdote stating that Wittmann knocked out a Soviet T-34 on one occasion and the enemy crew was on fire as they bailed out of the flaming hull of the tank. Wittmann stopped his tank and ordered his men to assist the enemy crew covering them with blankets to extinguish the fire. After it was all over, the two sides parted, both preserving their military honor. Perhaps the most famous victory accomplished by Michael Wittmann is the one at the Villers-Bocage. He was stationed in France in 1944, as part of the defense force against the Allied invasion. At the time, Wittmann was trusted to guard the town of Villers-Bocage together with five other Tiger tanks apart from his own. They were stationed near the town at the point codenamed Hill 213. The lead elements of the British 7th Armored Division (the famous Desert Rats) were on the move with one of their objectives being the taking Villers-Bocage. Wittmann didn’t expect the Allies to arrive so soon. Even though they were undetected at the time the British tanks were approaching the town, it was clear that they would soon be spotted and overrun. The British took Villers-Bocage without a fight, but the following morning all hell broke loose. While the main bulk of the Allied column continued towards Hill 213, Wittmann organized a surprise attack. 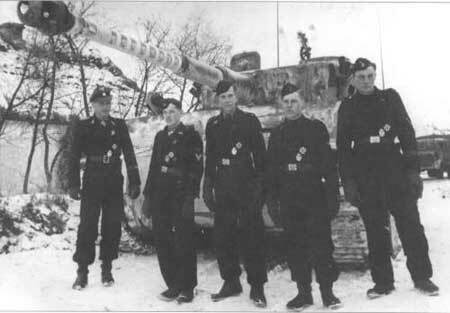 Alone, he proceeded to attack the rear of the column while the other four Tigers battled the British front. Wittmann caused mass panic by knocking out 8 Allied tanks and a number of half-tracks and anti-tank guns. He then charged the town of Villers-Bocage. 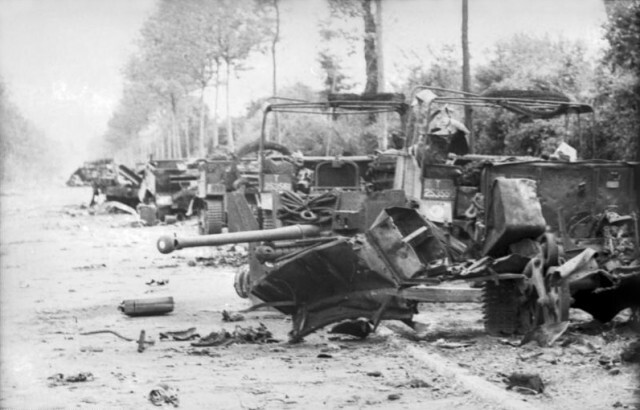 The element of surprise fueled his blitzkrieg even more, as the Allies failed to respond quickly while Wittmann neutralized their tanks, suffering minimal damage. Accounts differ as to what happened next. Historians record that, following the destruction of the OP tanks, Wittmann dueled briefly without success with a Sherman Firefly before withdrawing. The Tiger is then reported to have continued eastwards to the outskirts of the town before being disabled by an anti-tank gun. However, Wittmann’s own account contradicts this; he stated that his tank was disabled by an anti-tank gun in the town center. 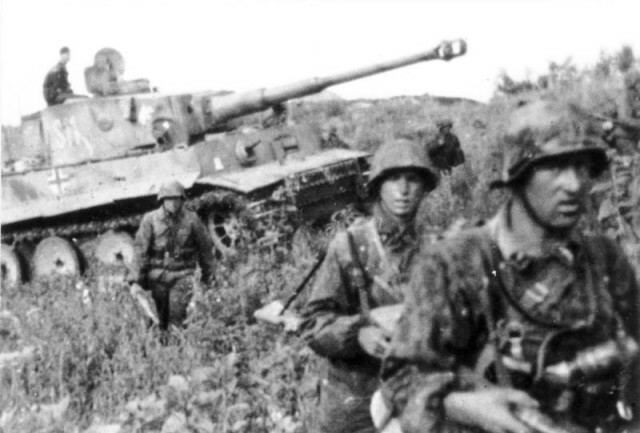 In less than fifteen minutes, thirteen or fourteen tanks, two anti-tank guns, and thirteen to fifteen transport vehicles had been destroyed by the Heavy SS-Panzer Battalion 101, the vast majority attributed to Wittmann. 6. Strategic Brilliance or Reckless Bravery? Even though Michael Wittmann became a household name in Germany after the Villiers-Bocage, thanks to the Nazi propaganda which was, by 1944, in dire need of inspirational heroes, many historians have questioned Wittmann’s strategic decisions. Some historians of the late 20th century had praised Wittmann’s ambush at Hill 213 with words like: “one of the most amazing engagements in the history of armored warfare” and “one of the most devastating single-handed actions of the war”. Others, like the German tank commander and historian Wolfgang Schneider, dismiss the ideal image that was bestowed upon the figure of Michael Wittmann, deeming his actions reckless and hasty. He considers that Wittmann irresponsibly left the rest of his squad to face the British who had by that time already in the defensive position. Historian Steven Zaloga attributed many of his victories on the Eastern Front to the superb technology of the German armor and firepower, thus discrediting Wittmann’s cult status. He indicates that Wittmann lasted for only two months on the Western Front because the Allied tanks had reached the necessary criteria to battle the Germans equally. A great number of theories concerning Wittmann’s death has been suggested. One source stated that a bounty was put on his head by the British after the Villers-Bocage skirmish, but the British Army denied this claim. 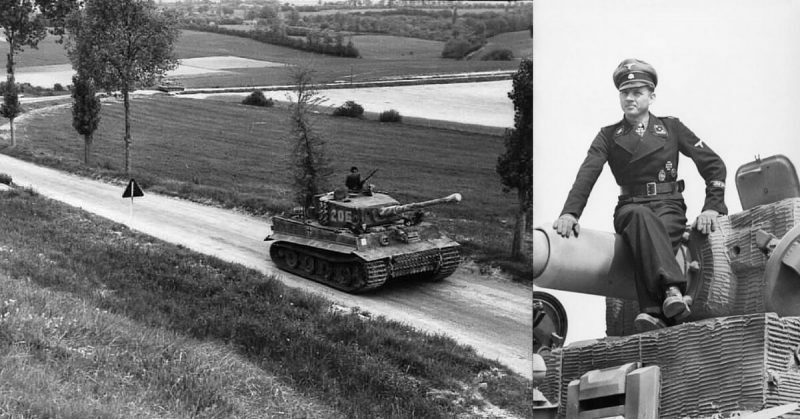 Nevertheless, Wittmann died in battle on August 8th, 1944, when his Tiger tank (number 007) was destroyed during an ambush near the French town of Saint-Aignan-de-Cramesnil. The SS wanted to depict his death as heroic by stating he died in an RAF raid of which he was helpless, thus emphasizing the cowardly character of the Allies. This claim was dismissed due to substantial evidence that proves that Wittmann fell victim to British gunner Joe Ekins from the 1st Northamptonshire Yeomanry, who was manning the gun of a Sherman Firefly. Other units were suggested, such as the 1st Polish Armoured Division, the 4th Canadian Armoured Division, the 144th Regiment Royal Armoured Corps, but all these claims were dismissed following a thorough examination conducted by a historian, Brian Reid. The crew of the destroyed tank was buried in an unmarked grave. In 1983, the German war graves commission located the burial site. Wittmann and his crew were reinterred together at the German war cemetery of La Cambe, plot 47—row 3—grave 120, in France.